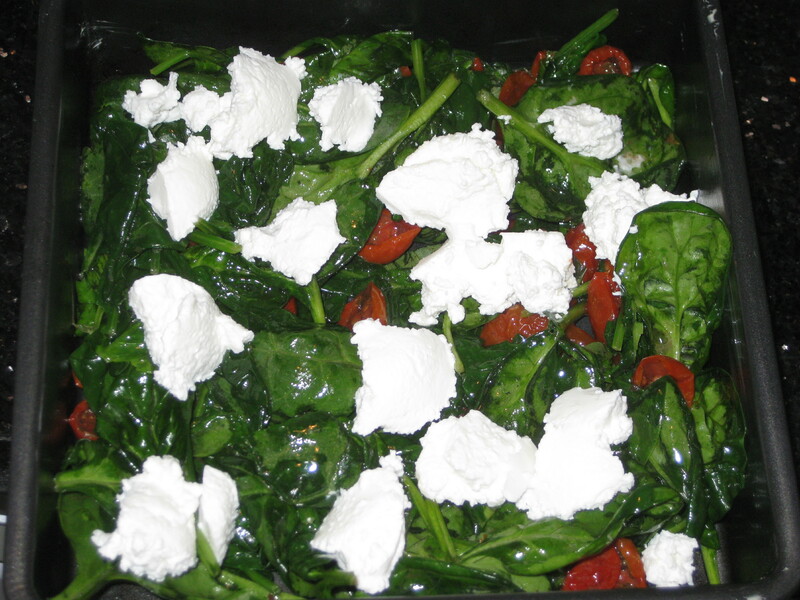 I’m quite mad about spinach these days. 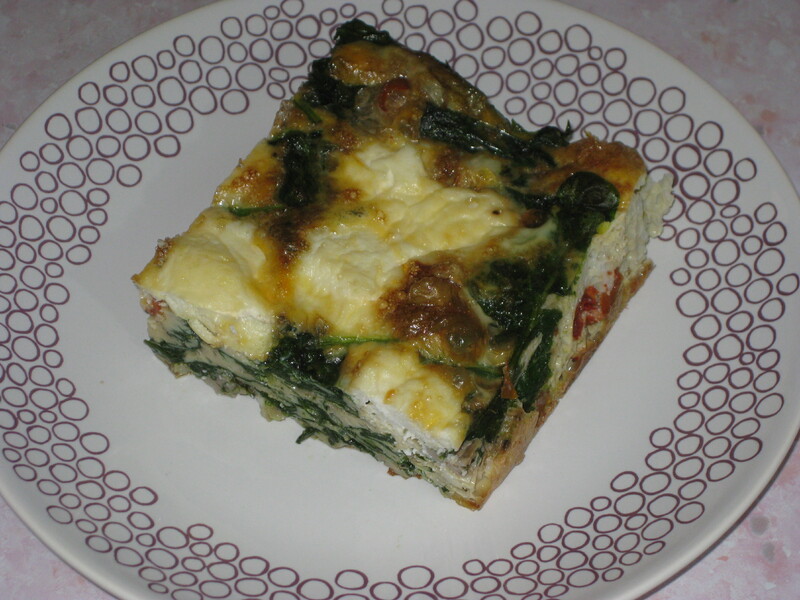 It’s in all my soups and packed lunches – I am desperately hoping for the Popeye effect. It has come to my attention that my arms are extremely weak. There’s not even a smidgen of strength in them. In my Bodycombat classes I can do all the crunches they throw at us, but I can barely manage one push up. I signed up for Bodypump specifically to try to build up my arm strength with weights – I struggle through the class and manage all the lifts and just about last through the planks, but still after just one push up I splutter and collapse. 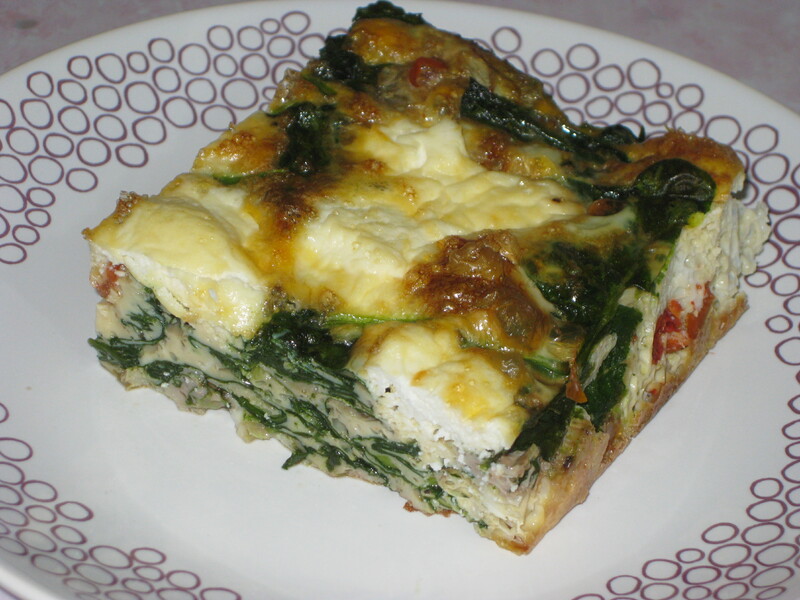 Come on, spinach, help me out! 1. Preheat the oven to 200C and grease an ovenproof dish. 2. 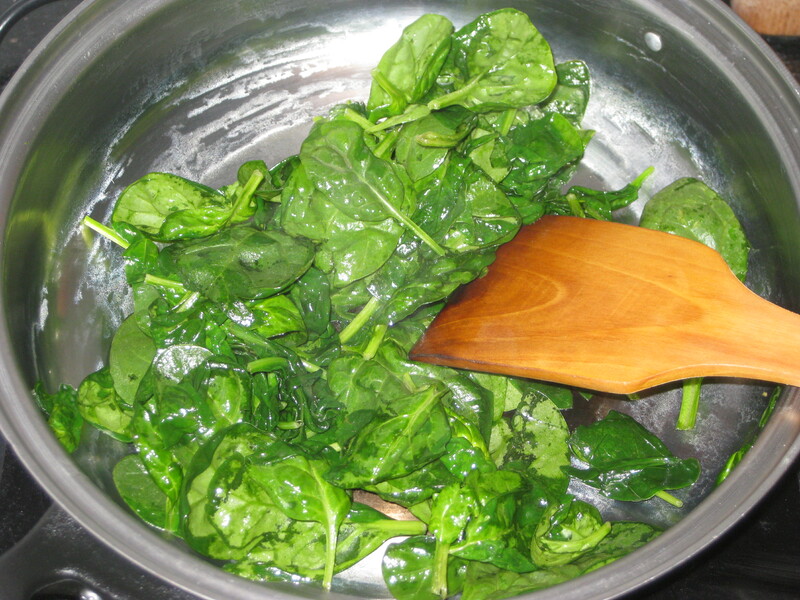 Heat the oil or butter in a pan and wilt the spinach for a few minutes. 3. 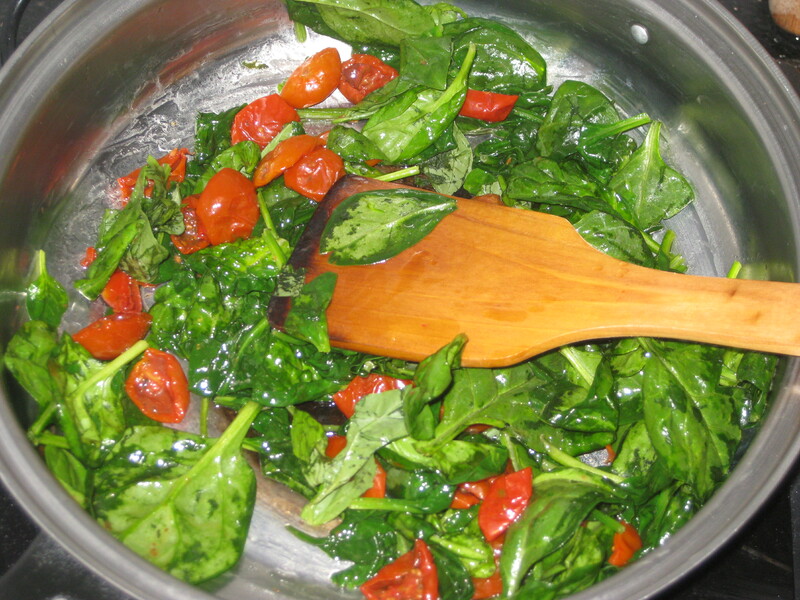 Remove from the heat, and stir in the tomatoes and basil. 4. Transfer them to the greased dish and dot over the ricotta. 5. Season the eggs and pour them into the dish. 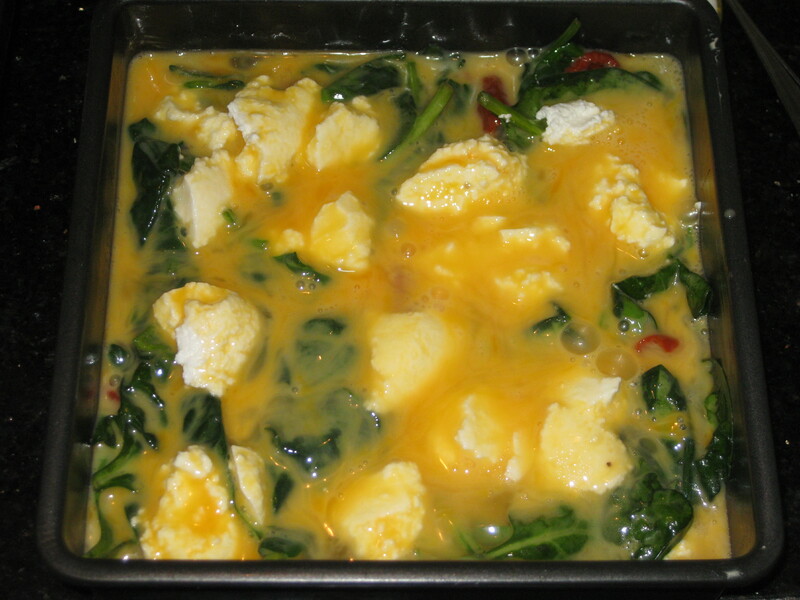 You might want to tilt the dish a bit to let the egg run into all the corners. 6. Cook for 25 minutes until golden and set. Slice up and serve! 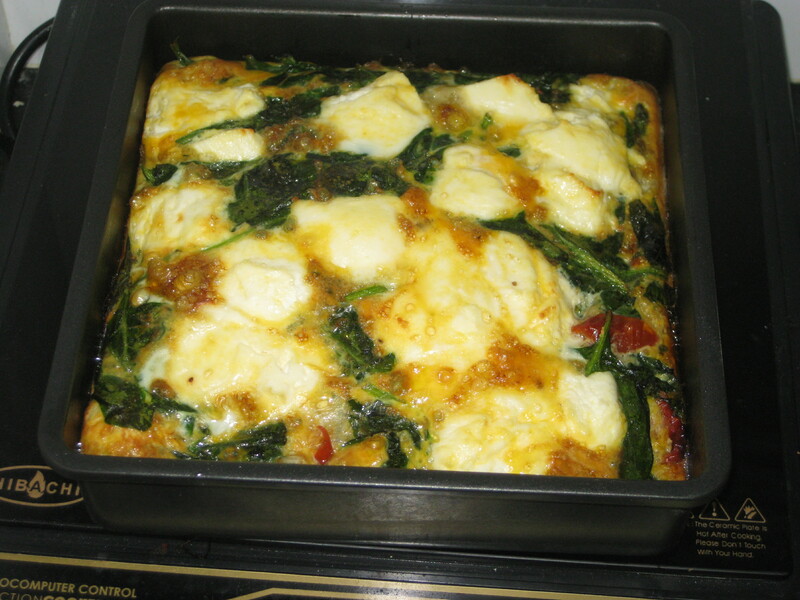 This entry was posted in Vegetarian Recipes and tagged frittata, healthy lunch, spinach and tomato frittata, spinach frittata. Bookmark the permalink.